The exhibition celebrated the evolution of Karachi from a sleepy fishing village into one of the largest commercial ports in Asia during the British Raj. It featured over two thousand objects and photographs borrowed from over fifty institutions and private lenders in Karachi. 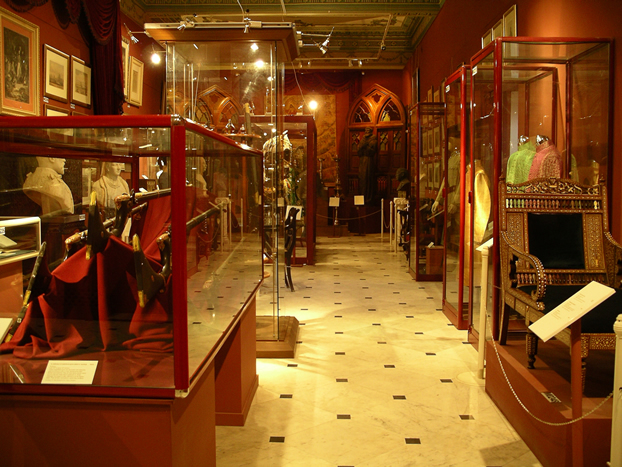 Displays included arms and armour, textiles and clothing, correspondence, memorabilia, portraits, engravings, statuary and decorative objects from the collections of eminent politicians, artists, intellectuals and philanthropists of the region. The transformation of Karachi was documented with objects, commencing with displays from the royal courts of Sindh and Baluchistan, merging into the Battle of Miani in 1843 when Sir Charles Napier’s army routed the Talpur Mir’s of Sindh; leading upto Pakistan’s independence from the British in 1947 and a tribute to the founder of the nation, Quaid-e-Azam Mohammad Ali Jinnah and the first Prime Minister Liaquat Ali Khan.